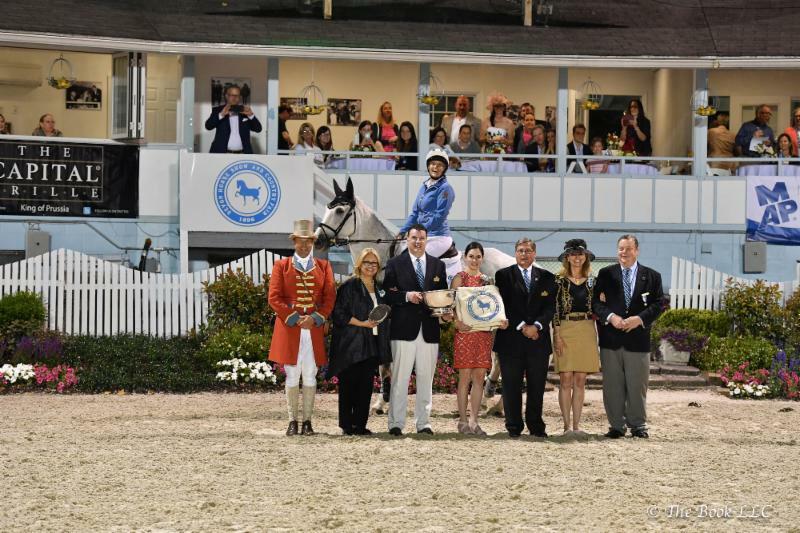 Devon, Pa. – May 28, 2017 – Sunday evening at the Devon Horse Show and Country Fair highlighted a brand new kind of competition, Devon Arena Eventing, based on two of the three disciplines that make up three-day eventing: cross-country and stadium jumping. The event attracted a new realm of spectators including eventing enthusiasts. 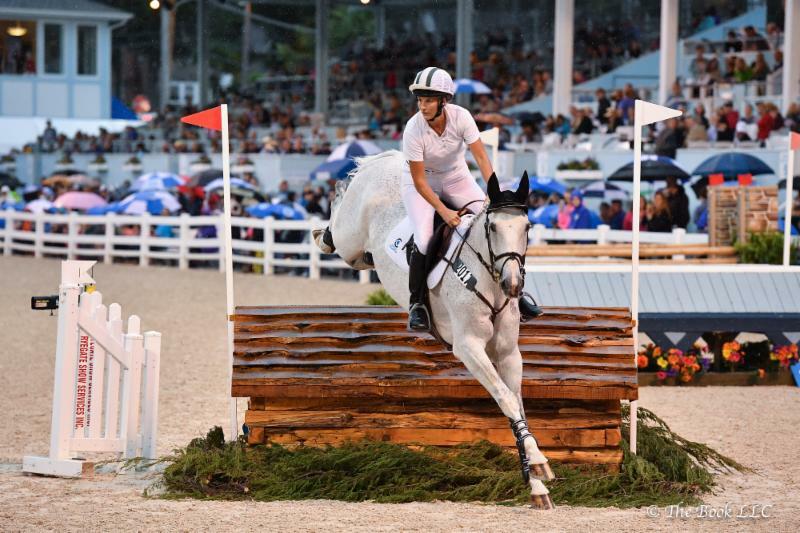 A total of 23 international eventing horse-and-rider combinations participated in the new event, where USA’s Sarah Kozumplik Murphy and Rubens D’ysieux came out on top to take home the first winning title. 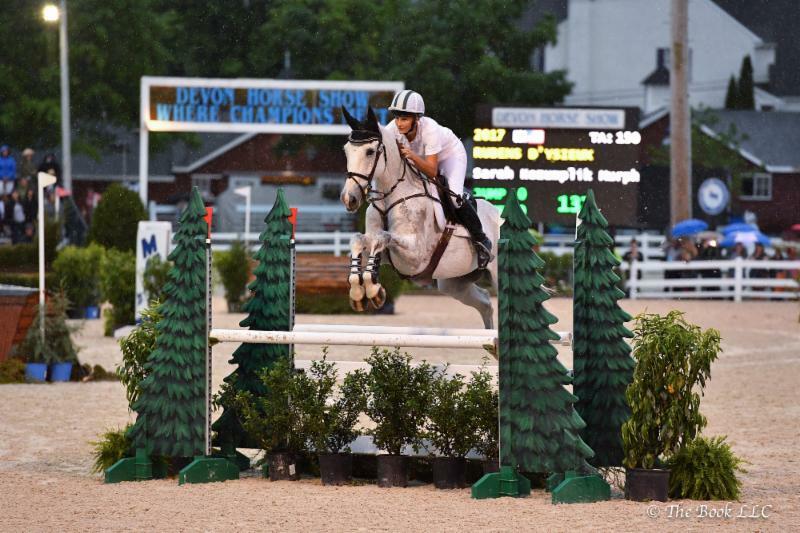 The Devon Arena Eventing competition, presented by Mid-Atlantic Packaging, was designed to maximize the facilities, showcasing the best of what Devon has to offer. The course was designed by Captain Mark Phillips, Olympic gold medalist, former coach of the U.S. Olympic eventing team and renowned international course designer. Phillips spent several hours at Devon evaluating the facilities and believes the venue is an excellent host for arena eventing. Horses and riders entered must have attained a qualifying score in a CCI2* or be competing at 1.40m in show jumping to participate in Sunday’s Devon Arena Eventing class. The first round took horses and riders through both the Gold Ring and Dixon Oval over 25 obstacles, and faults were given for knockdowns and exceeding the maximum time. Approximately 15 fences were typical obstacles found on a standard cross-country course, while the remaining were show jumping fences. Fences were up to 1.20m in height, brush up to 1.40m and spreads up to 1.60m. The second round brought back the top 12 to compete in a jump-off over a shortened course in the Dixon Oval. Murphy and the 11-year-old Selle Français gelding, owned by Rubens D’ysieux Syn. LLC, completed both phases with no penalties, finishing the jump-off in 75.03 seconds for the win. Coming in second place was USA’s Jennie Brannigan and Nina Gardner’s Cambalda. The pair also completed both rounds with no faults and stopped the timers in 79.05 seconds at the end of phase two. Rounding out the top three was USA’s Erika Nesler and Doug and Cindy Howe’s Right Above It. They crossed the finish line in 80.92 seconds to also end on a final score of zero penalties. There are four other major horse shows that have also developed these special competitions: the Wellington Eventing Showcase, the Stuttgart German Masters, the Royal International Horse Show in England and The Royal Horse Show in Toronto. The Devon Arena Eventing competition was met with the highest standards and was supported by top riders. From the eventing side, Phillips, David O’Connor, the current U.S. eventing chef d’équipe, and U.S. Rio Olympians Phillip Dutton and Boyd Martin. Kevin Babington was also on board and encouraged competitors from the show jumping world to participate.